Naomi loooooves swimming and playing water. Every time she realizes that we're bringing her out for a swim, she'd smile so happily from ear to ear non-stop until we reach the pool or beach. 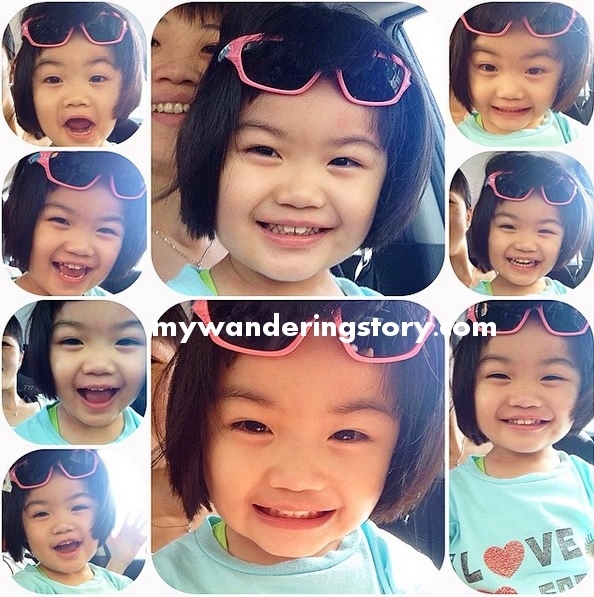 Naomi's huge smiles and super happy expressions in the car otw to the pool. However, I was mostly reluctant to let her swim in the swimming pool or beach. Why? Because after mere 10-15 minutes of dips in the water, Naomi usually shivered like mad and her lips turned purplish; and yet, she refused to leave the pool as she was still not satisfied playing with the water. Alas, whenever we let her had some fun splash in the pool or beach, she caught high fever accompanied by runny nose at night or the day after her swim. And what happened if she had fever? Nightmares for her and us, her parents, of course. Not to mention the doctor visits and melodrama tears and screams when taking her fever medicines. Having said the above, my husband often mocked me that I was not a fun Mom because I tend to beg off from any invitation to go to the beach with friends or relatives. Again, it's not that I don't want to see my child happy. It's just that I don't want to risk her getting sick for days after taking a plunge in the pool for less than an hour. Naomi and her previous swimwear that I am ditching now. Nevertheless, I suspected that Naomi's one-piece sleeveless and backless swimwear (as depicted in the above photo) was probably the culprit behind her relentless fever attack post swimming. This type of (minimum clothing) swimwear obviously doesn't offer any wind chill protection when Naomi is soaked wet hence the shivers and cold during and after swimming. Honestly, I was still a bit traumatized to bring Naomi to the swimming pool for a fun splish-splash activity because of the possibility of her getting fever after swimming. You never know, right? But last week, my husband insisted to bring Naomi to the swimming pool with us as he wanted to test Naomi's latest swimming suit from Cheekaaboo. I kind of hesitated with this idea but in the end agreed to let Naomi experience her Cheekaaboo for the first time in the swimming pool. Here's some pictures of Naomi posing in her brand new cool and super protective swimwear from Cheekaaboo before we headed to the pool last week. Looking so pro and cool, aye, mate? I love the attractive and sleek design of this Cheekaaboo's swimwear. The swimwear is thick, equipped with insulating properties, yet so easy to put onto and snug fits Naomi's body. My husband said it has the same material as diving suit. I cannot comment on this one because I have never touched nor worn any diving suit before. Unlike the courageous Naomi, yours truly is so timid and afraid of diving or swimming in a pool deeper than 180cm. Unfortunately, I don't have any pictures of Naomi's playing in the water while wearing her new chlorine-resistant swimsuit last week since I left my phone in the car. However, I can assure you that both my husband and I were more confident to let Naomi enjoy the pool for a tad longer than usual because she didn't shiver nor her lips turned purple even when she swam for almost an hour. In the past, after she swam for around 30 minutes, I'd quickly force her to get out of the pool then called her swimming for a day. Also, I can tell that Chekaaboo's swimwear is so comfortable that Naomi could just move or swim as actively as if she wore her old neon green Baywatch swimsuit. Finally, the best part is.... No fever and flu after her swim last week! I believe Naomi escaped fever after her swimming session last week largely due to her new protective swimwear but*knock wood* I hope she will never have to deal with annoying and torturing fevers again after swimming with Mommy and Daddy in the near future. 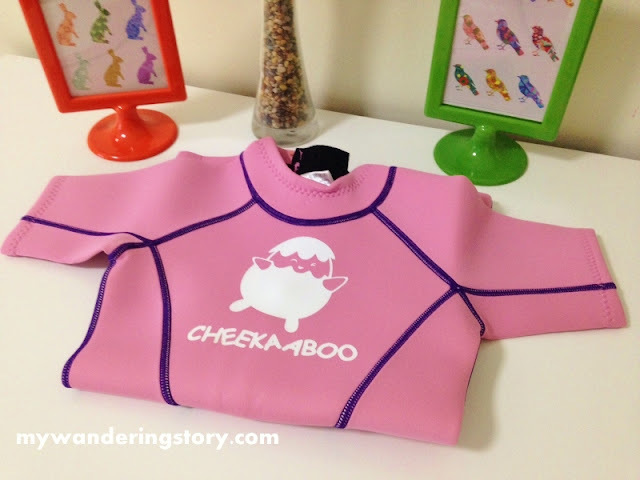 Conclusion is I think Cheekaaboo's protective swimwears are worthy investments for your little ones if you plan to get them active in the water. They are certainly not your old ordinary swimsuits as they are carefully designed for baby's and children's needs. I would not mind buying another one for Naomi when she outgrows her current pink Cheekaaboo. Naomi had a water play activity in her school this morning and I let her wear her Cheekaaboo for the second time. Here are some pictures of happy Naomi splish-splashing water in the school's inflatable pools. TGIF! When Naomi's teacher mentioned that the water play activity for the kids this morning would take about 1 hour's time, I didn't fret about this because Naomi has Cheekaaboo now. I trust her Cheekaaboo swimwear would protect her from cold. No more wind chill. No more worry. Just play and have fun with the water, kid! P/S: Naomi wears Cheekaaboo's swimwear size 4-6 years old now. *This is not a sponsored post. Just a review from a happy and satisfied consumer. Naomi is turning 3 next month! How time passes so quickly like a passing cloud. People say that once kids turn 3 years old, their cuteness or baby look is depreciating! I hope this is not entirely true. My cute baby is now a pretty little lady. I plan to make a small birthday celebration for Naomi at her school/day-care next month so she can celebrate her big happy day at her "second home" together with the people she loves other than her family, namely her teachers and friends. This year, I try to accommodate the theme of her mini birthday party in accordance to her obsession right now. I also hope that Naomi doesn't fall sick on her birthday and our regular bakery can pull my idea into the cake. Birthday cake is always the centre of birthday celebration so it is very important. Once I read about a Mommy who does yearly interview with her daughter on the kid's birthday. Birthday interview is actually a great idea to capture memories and see how the child's interests and milestones change as she grows up. Inspired by this Momblogger's birthday interview, I want to do a similar birthday interview to journal Naomi's developments and current interests thus far but my problem is Naomi just started talking few words and can't string a sentence yet. As such, she can't possibly answer all my interview questions. This said, I will just write down the interview questions (and modify some as I deem fit to Naomi's age now) and answer them based on Naomi's current milestones and interests. 1. How old are you today? 34 months and 1 day old. 2. What is your favourite colour? Not sure yet. I can say all the colours but can only match some of the colours to their names correctly for the time being. 3. What is your favourite food? Creamy pasta, all sort of vegetables and noodles. 4. What are your favourite desserts? Butter-cream cake and yoghurt. 5. What is your favourite fruit? Strawberry. Strawberries are expensive, Mama says. But I don't care. 6. What are your favourite toys now? Play-Doh and cooking set. 7. What are your favourite TV shows? Donald Duck and Chip & Dale (for now). 8. What is your favourite animal? Dinosaur. Oh, dogs too. 9. Where are your favourite places to hang out? Arcades and parks. 10. What are your favourite songs now? Pull the Carrot (拔萝卜) and Rain Rain Go Away. 11. What do you like to wear? Matching pyjamas. 12. What makes you happy? New toys and water play. 13. What makes you sad? The moments when my parents take Ah Gong's iPad and smartphone away from me. 14. What are you good at? Making a mess? 15. What makes you laugh? Daddy and funny cartoons. 16. What are you afraid of? The sound of thunders. 18. What do you love about school? The fun activities, play times, singing and friends. 19. What are your favourite activities other than playing? Sleeping and transforming myself into a couch potato. Sucking my pacifier almost all the time, especially at home. I can do without pacifier and napkin at school tho'. Randomly placing my pacifier and napkin when I don't need them then frantically and furiously look for them when I want them. Running around like a hyper kid when my parents bring me out to the supermarket, mall, park and other fun places. Riding one and each of the joy rides I can find in the mall or hypermarket before I agree to join Mommy for groceries shopping. Putting all the toys I want to the shopping trolley without thinking of the price. Wanting to eat the unpaid strawberries in the supermarket trolley before Mommy or Daddy could find any place to wash them. Peeing on my pants when I am angry. Crying buckets and throwing tantrums when I don't get what I want. Never mind the location. Not bothering to clean up my toys after playing. But sometimes, I do clean my toy mess when I have the mood. Sleeping horizontally so Mom and Dad don't get much bed space and wake up with body aches the next morning. Peeling my fingers and toes' hard skin and nails until they look quite ugly despite my parents' and teachers' scoldings and warnings. Eating my booger silently. Usually Mom and Dad will shriek then scream, "No No, No No!" The above pretty much depicts Naomi's current interests. As for her latest achievements, my girl's vocabulary has now grown larger as opposed to few months back. Naomi can now communicate to us what she wants and what she doesn't want. 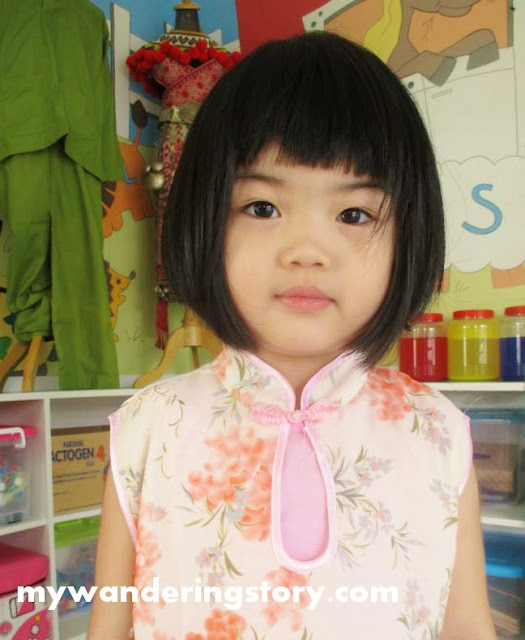 She can sing few nursery songs and count 1-10 in English, Bahasa Indonesia/Melayu and Mandarin with our guidance. In addition, Naomi is now able to identify, recognize and say some objects he is familiar with out loud. She loves to show her affection to us and that's why I consider her as a little heart-breaker. 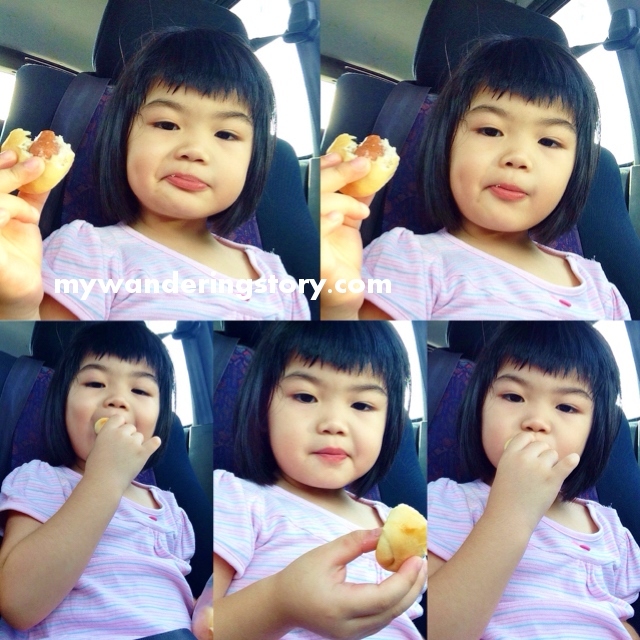 Further, Naomi can eat her food by herself, go to toilet, undress and dress without our assistance. Nevertheless, Naomi still wants to co-sleep with us and is very attached to her pacifier and napkin. What else, ah? In early July, I had the chance to go to Cameron Highlands again (for the third time) with my husband's family. Our itinerary for our Cameron Highlands' trip last month was pretty much the same with the previous ones - checking out Pasar Malam, morning market, tea plantation, strawberry farms, bee farms and so on. This said, I had been to these places at least twice by now. If you ask me the highlights of my visit to Cameron Highlands this year, I'd say the moments when I finally checked out the Lavenders farms, took photos with pretty Lavenders in the background, smelled the light aroma of real Lavenders and ate Lavender Ice Cream. From what I know, there are two places you can go to if you want to see or take photos with Lavenders in Cameron Highlands. I've been to both places so here's a bit of information on both places. On our last day in Cameron Highlands, just before we left this famous tourist spot in Malaysia, I told my husband that I wanted to see Lavenders. I once saw my friend posted some pictures of her with Lavenders when she went to Cameron Highlands a while back so I really wanted to see some Lavenders the next time I go to this place. Lavender beds in Cameron Lavender. My husband didn't know that there are now Lavender farms in Cameron Highlands because the last time we came here, we didn't think there was any. When we googled Cameron Highlands + Lavender, the first thing that came out in the search engine was this place called Cameron Lavender, which according to its website is the latest tourist spot addition to Cameron Highlands. This place houses other colourful flowers too. After my husband communicated my intent with my in-laws, we headed to this place. When we reached to this place and MIL realized that we needed to pay RM 6 per pax to enter, she didn't want to join us and volunteered to take care of Naomi in the car while my husband and I checked this place out alone. Me with the love locks. 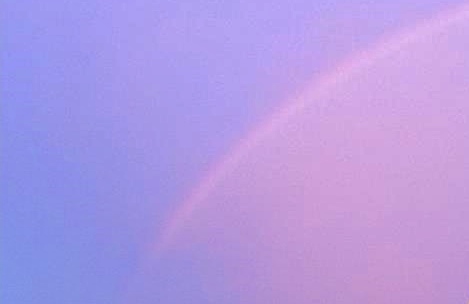 My first impression when I stepped into this place was "Welcome to the very purple world." Almost everything, except the flowers other than Lavenders, in this place has purple tone in it. If I recall correctly, the first flower beds that visitors greet when they enter this place would be Lavenders. I was so happy when I finally could be so close to Lavenders! I always thought that Lavenders are some kind of flowers that you can only encounter in Western countries or Japan so they are very special.. but hey, they are now available in Malaysia too (actually Genting also has). Since it was only my husband and I who were exploring this place while the rests of the family members waited for us in the car (the entrance fee basically turned them off), my husband and I just circled this place real quickly. At the same time, we tried to take some photos with the cute and dainty (mostly purple) props scattered in the whole garden as mementos. The purple car my husband refused to take picture with. My husband and I stopped by the purple gift shop somewhere inside this place which sold mainly Lavender based products as well but we didn't buy anything. Ain't got time for shopping. I also noticed that there was another beautiful garden uphill within the premise but we skipped checking that garden because we didn't want to make our in-laws wait for us in the car too long. So yeah.. our visit to Cameron Lavender was very brief but no regret going to this place. In fact, I wish we had more time to slowly explore this place because we sort of wasted our RM 6 entrance fee by rushing the visit that day. But nevermind lah.. The last spot we visited before we headed home was Green View Garden. I didn't know this place also hosts Lavenders. And the best part is.. you don't have to pay to enter this place so we all got off the car and went inside the garden. Getting lost in the Lavender farm. Green View Garden is actually another flower nursery and strawberry farm in Cameron Highlands but somehow we were not after their strawberries when we were there. We were more attracted to their Lavender farm. In addition, it also has a cafe that serves delectable strawberry desserts but too bad, we didn't try any. 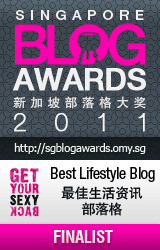 RM 5 fine for every strawberry plucked! Don't play play. Naomi and her cousins were so happy running around in the garden and seriously, just like Cameron Lavender, this place is perfect for capturing your Kodak moments. One of the tourist facilities that I really liked from this place is their colourful beach hut props that visitors often use as photo background. They are so appealing, aren't they? The kids taking pictures with the colourful houses. My husband asked me to pose and create human alphabets using the beach huts as the background but my attempt was a total flop. The pictures looked quite weird and didn't come out nice - I am so aunty already and undeniably not flexible. My pony-tailed hair and shirt-and-jeans outfit that day didn't complement my photo sessions either... LOL. Since all family members were also checking out this place, we had quite a bit of time to thoroughly explore their House of Lavender, including their Lavender-inspired shop that sells various Lavender products and ice cream! Bad hair day and pardon the eye bags too. I am not an ice cream person but when I found out that the House of Lavender sold Lavender Ice cream, I was compelled to buy and eat one - even though the home-made ice cream was priced at RM 6.90 per cone. My husband hesitated because the ice cream was considerably expensive but I insisted and told him that it's a rare experience. Where else could we taste Lavender Ice Cream? The queue to get that ice cream that day was quite long... but worth it. The Lavender Ice Cream tasted refreshing and a bit tangy with mild Lavender aroma. Rest assured, you won't feel like eating Lavender lotion or mosquito repellent. So buy one if you never had one before. After chasing around Naomi, taking pictures with the Lavenders here and there and eating the Lavender Ice Cream, I concluded my visit to this place and got in the car before saying adios to Cameron Highlands. If I were to go to Cameron Highlands again, I guess I wouldn't mind coming to this place one more time just like going to BOH Tea Plantation or Big Strawberry Farm twice or three times. I suppose Lavenders now have become the newest Cameron Highlands' icon that people actually produce and sell fridge magnets with Lavender designs for souvenirs in Cameron Highlands, on top of the usual strawberries, corns, sunflower or cactus designed magnets. I am a fridge magnet buyer kind of tourist. Last but not least, if you are planning to go to Cameron Highlands, make sure you include Lavender gardens visit in your itinerary. About three or four months ago, my husband's friend who was into agriculture gave him few sweet corn seeds for us to plant when he learnt that my husband loves to grow vegetables in our back yard. Naomi watering the corn plants. Fast forward three or maybe four months later, our sweet corn plants have grown tall and high (I wish I could use these two words to describe our corn plants here) and produced sweet corns too. I told you they are so mini. Were we happy? Of course. We were very happy when few weeks ago, we noticed that the corn plants had actually grown tassels that meant the plants had grown to full maturity and were going to bear sweet corns soon. Sweet corns as small or smaller than adult's hand palms. One question though, why are the corn plants we grow so short? The plants actually grew tassels and produced sweet corns when their height was probably around Naomi's height. How abnormal this is especially since I know that corn plants can grow as tall as or even taller than me. In times like this, I blame the soil quality in our backyard especially since we water the plants and my husband fertilize them regularly. I am convinced that the soil is not suitable for growing plants. Corn screaming to be picked. True enough, the corns that our plants produced, given the plants' size, are also mini (and cute I must add). Yesterday evening, I told my husband that we could actually harvest some of the corns in our back yard already because I read from the internet that when corns' silk turns brown but the husks are still green, they are ready to be harvested. Naomi harvesting corns for the first time. In the end, after briefly checking all the corn plants we picked four sweet corns that were ready to be harvested. Naomi had fun harvesting the (baby but not so baby) corns and it was actually our first time in harvesting corns too - so it was quite exciting experience. Naomi fighting over the corn with me. Soon after we were done with harvesting the corns, I decided to boil two of the mini sweet corns for Naomi since she was so eager to eat them raw already. Good to know that the corns are indeed very sweet, despite its size. When I showed the above picture of me boiling the dwarf corns, my Mom commented that I was wasting my LPG for boiling only two mini corns. LOL. What to do? My husband wanted to keep the other two corns for his mother so I couldn't boil all of our harvests yesterday.